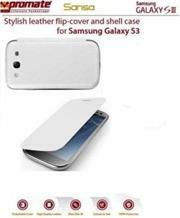 The Promate Sansa is an attractive leather flip cover with a hard shell rear casing for the Samsung Galaxy S3. Fitting snugly to your mobile phone, the Sansa protects from any knocks, scuffs, scrapes and scratches. 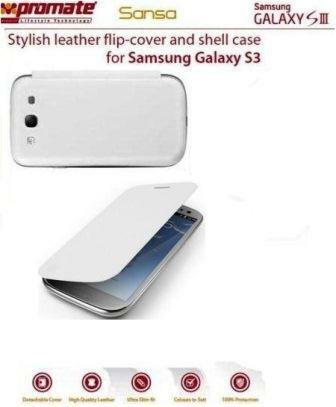 Ultra-slim, ultra-lightweight and extremely portable, the Sansa is the perfect accessory for the Galaxy S3 user who wants to bring their phone to the next level.